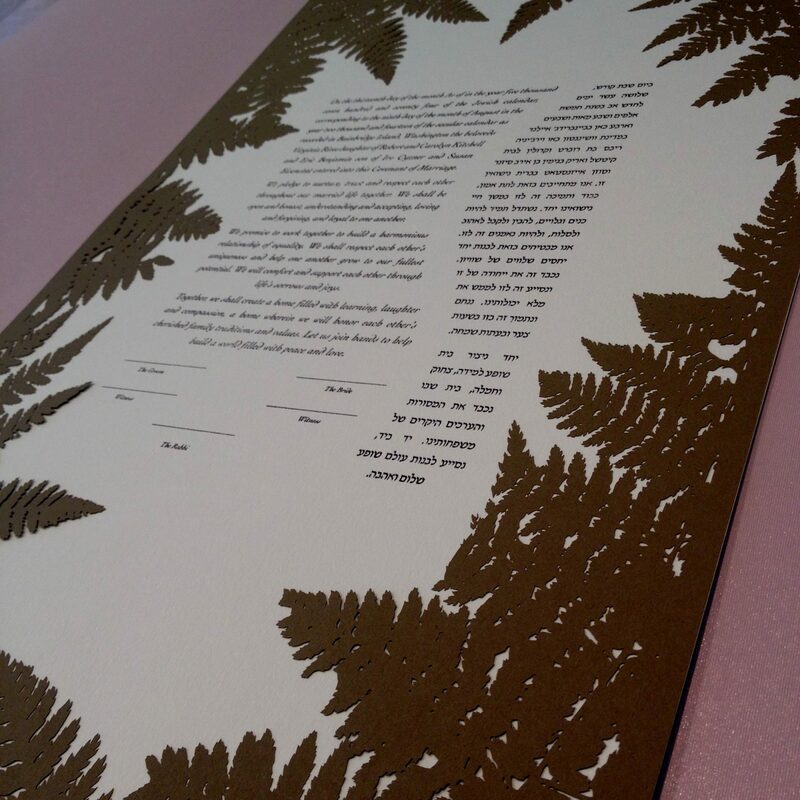 The Fern Two Layer Ketubah features a laser fern frame around your wording which is printed on the back layer. 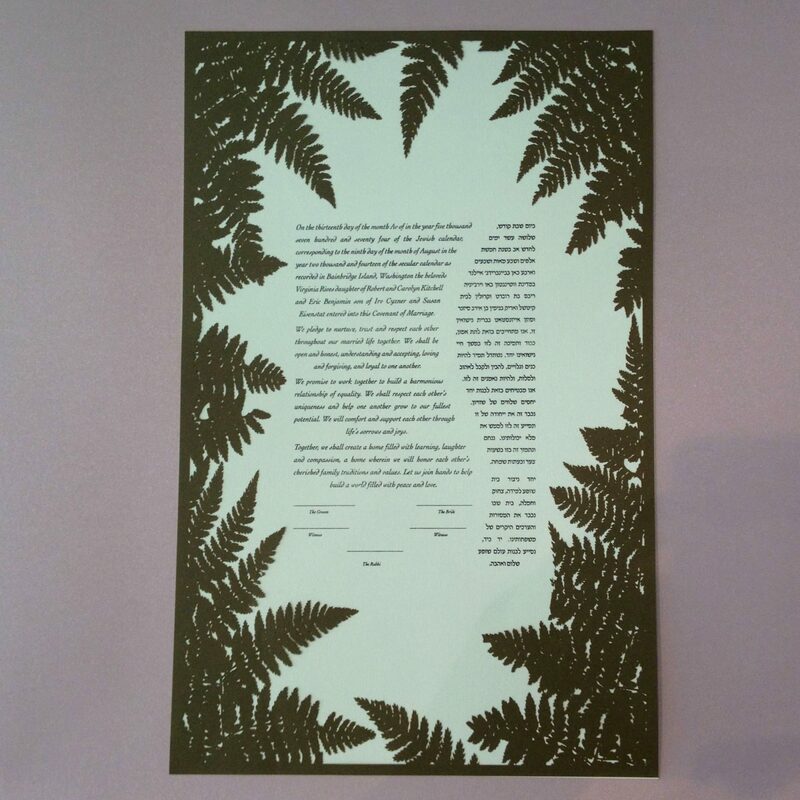 The Fern Two Layer Ketubah features a laser fern frame around your wording which is printed on the back layer. 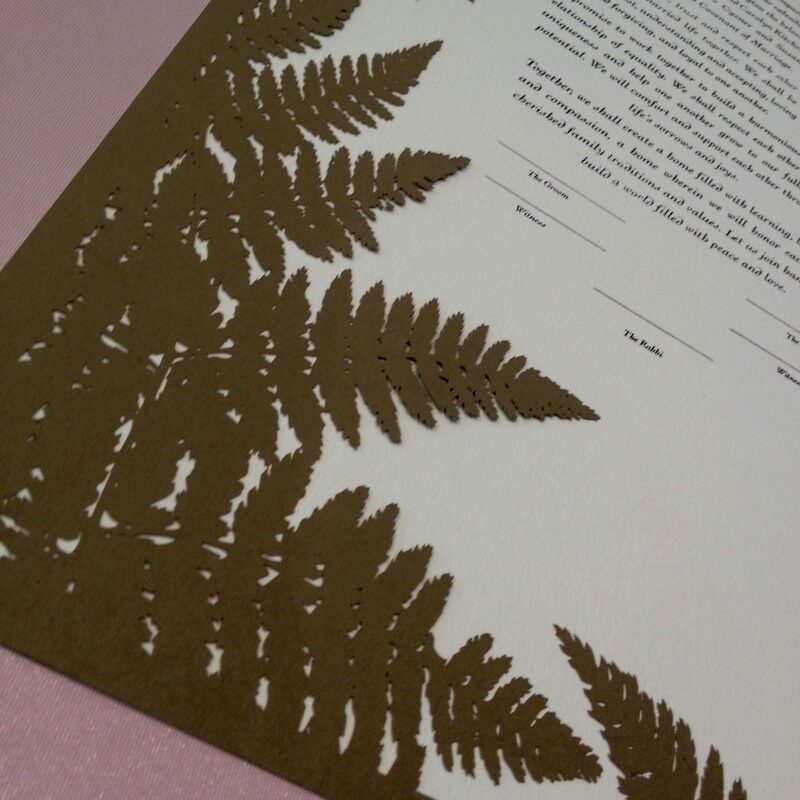 Wording may be printed in a complimenting back layer. 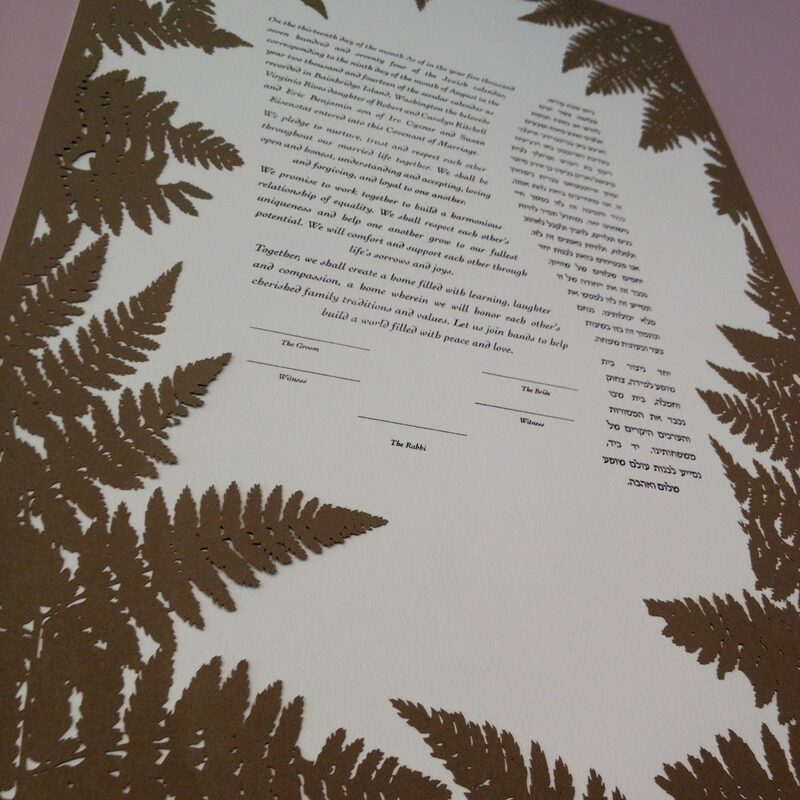 Your order will then enter into the typesetting phase and a you will receive a wording proof for final layout approval. Once the proof is approved estimate a week for shipping.